An award-winning drama with music based on James Joyce’s best loved short story. Following a sold-out run at Dublin’s Project Arts Centre, this acclaimed version of The Dead is on national tour. This tour will commence on Jan 31 and will tour to 11 venues through the country. The tour is generously supported by The Arts Council, The NASC network and RTE Supporting The Arts. Four singers accompanied by a string quartet conjure all the humour and heartbreak of a family gathering on a snowy night in Dublin. Composer Ellen Cranitch and playwright Tom Swift have created a vivid musical telling of one of the greatest short stories ever written. Presented by The Performance Corporation and Breda Cashe Productions, The Dead is skilfully directed by Jo Mangan, in a beautiful version of Joyce’s masterpiece. 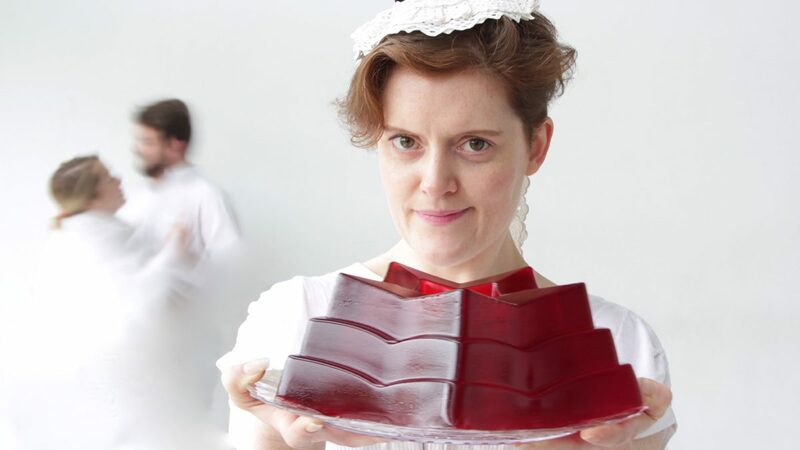 Cast: Clare Barrett, Kate Gilmore, Ruth McGill and Rory Musgrave. 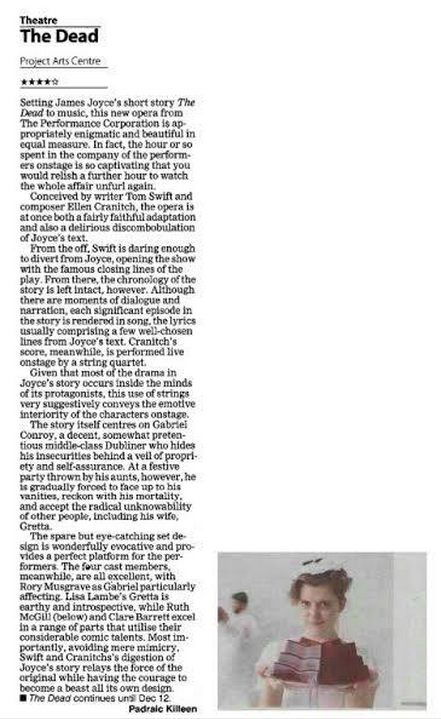 “This new opera is appropriately enigmatic and beautiful in equal measure. In fact, the hour or so spent in the company of the performers onstage is so captivating that you would relish a further hour to watch the whole affair unfurl again.” – **** The Irish Examiner.